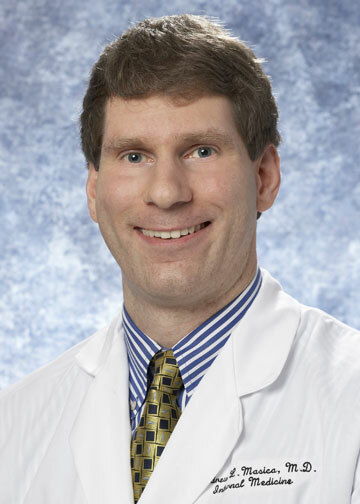 Since his arrival at BSWH in 2006, Dr. Masica has maintained system-level roles in quality, patient safety, and health services research, while continuing to practice clinically as a board certified hospital-based internist. His main research interests are in the areas of rational use of therapeutic drugs, clinical effectiveness, and delivery science. He has received funding as a principal or co-investigator on several studies funded by the Agency for Healthcare Research and Quality, the National Institutes of Health, and the Center for Medicare and Medicaid Innovation, as well as pharma. He has translated this work into numerous publications in peer-reviewed journals. Dr. Masica’s operational responsibilities are focused on population health and the deployment of evidence-based practices into daily patient care, particularly the design of accelerated adoption strategies and assessing impacts of those implementations. Dr. Masica has been designated as a Senior Fellow by the Society of Hospital Medicine, and has an appointment as an Assistant Clinical Professor of Medicine at the Texas A&M Health Sciences Center (Dallas Campus). He was recognized by the Dallas-Fort Worth Hospital Council as their 2012 Young Healthcare Executive of the Year, and leads Baylor Scott & White’s involvement in the High Value Healthcare Collaborative. Strong, diverse forces arising from technological, regulatory and attitudinal changes as well as economic compulsions are leading to a revolution in how healthcare is practiced in the USA. Central to these developments is the rise of Digital Health: the collection or conversion of a variety of health-related information into electronic form and the analysis of the resulting data for more reliable and proactive healthcare. This movement ultimately promises to deliver precision diagnoses and prognoses that are accurate at the level of an individual person, in other words, creating accurate predictive and prescriptive models for “segments of one”. In this talk, I will describe diverse factors that are fostering the digital health movement and highlight some promising developments in this area. Key challenges facing this movement will also be outlined, including the integration of such approaches with existing domain knowledge to produce even more readily acceptable and actionable results. Some thoughts on the future of data-driven healthcare analytics will also be shared. 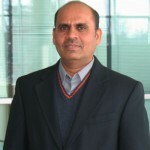 Joydeep Ghosh is currently the Schlumberger Centennial Chair Professor of Electrical and Computer Engineering at the University of Texas, Austin. He joined the UT­Austin faculty in 1988 after being educated at, (B. Tech ’83) and The University of Southern California (Ph.D’88). He is the founder­director of IDEAL (Intelligent Data Exploration and Analysis Lab) and a Fellow of the IEEE. His research interests lie primarily in data mining and web mining, predictive modeling / predictive analytics, machine learning approaches such as adaptive multi­learner systems, and their applications to a wide variety of complex real­world problems such as healthcare. He has published more than 400 refereed papers and 50 book chapters, and co­edited over 20 books. He has received 14 Best Paper Awards over the years, including the 2005 Best Research Paper Award across UT and the 1992 Darlington Award. He also received the 2015 Technical Achievement Award from IEEE CS for development of multi-learner systems. 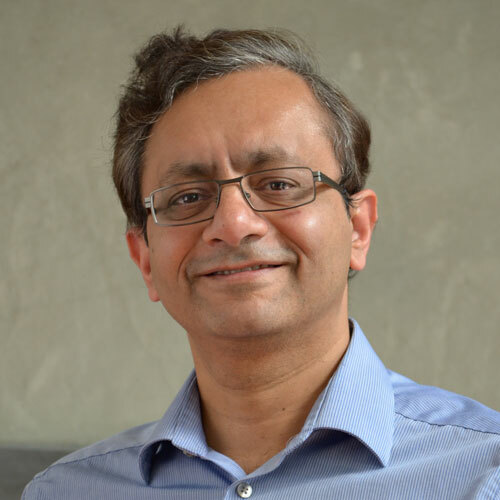 Dr. Ghosh has been a plenary/keynote speaker on several occasions such as ICDM’13 and (Health Informatics oriented workshops at) KDD’15, KDD14, ICML13 and ICHI13., and has widely lectured on intelligent analysis of large­scale data. He served as the Conference Co-Chair or Program Co­Chair for several top data mining oriented conferences, including SDM’13, SDM’12, KDD 2011, CIDM’07, ICPR’08 (Pattern Recognition Track) and SDM’06. He was the Conf. Co­Chair for Artificial Neural Networks in Engineering (ANNIE)’93 to ’96 and ’99 to ’03. He has also co­organized workshops on health informatics, high dimensional clustering, Web Analytics, Web Mining and Parallel/ Distributed Knowledge Discovery. Dr. Ghosh has served as a co­founder, consultant or advisor to several successful startups in addition to consulting for large corporations. Currently he is on the advisory board of Cognitive Scale (Healthcare thrust) and Accordion Health. Veerasamy “Ravi” Ravichandran is with the Biomedical Technology, Bioinformatics, and Computational Biology (BBCB) division of NIGMS, NIH. The BBCB division supports the development, use and dissemination of computational tools, sophisticated quantitative approaches and unique experimental technologies to enable studies of biological, behavioral and social systems that underlie health and disease; the creation of innovative methods to store, organize, share, visualize, integrate and analyze vast quantities of biological data; and training opportunities in the quantitative and data sciences to prepare the next generation of biomedical researchers. In his presentation, Ravi will be talking about the current trends in NIH, particularly the NIGMS funding opportunities. This presentation is intended to be informal and preferred to have an interactive discussion with the audience. Veerasamy “Ravi” Ravichandran, Ph.D., is a program director in the Division of Biomedical Technology, Bioinformatics, and Computational Biology. He manages research, resource and training grants in the areas of biomedical technology, bioinformatics and computational biology. Ravichandran is also involved in facilitating and coordinating trans-NIH activities related to big data. 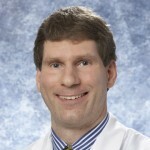 Earlier in his career, he was a staff scientist at the National Institute of Neurological Disorders and Stroke, a research scientist at the National Institute of Standards and Technology, and an associate research scientist at Yale University School of Medicine and the University of Pennsylvania. Ravichandran conducted postdoctoral research as an IRTA fellow in the NCI Laboratory of Pathology and Experimental Immunology Branch. He earned a bachelor’s degree in chemistry, master’s degrees in biochemistry and philosophy/clinical biochemistry, and a Ph.D. in biochemistry from the University of Madras in India. Ravichandran also earned a master’s degree in computer science and bioinformatics from John Hopkins University and a certificate degree in database development from George Washington University.